Because of the relative stability that Venice enjoyed (both economically and politically, thanks to a firmly entrenched merchant class that controlled Venice's government), architecture in the city lacked the fortifications or other utilitarian components common in other cities. As a result, building like the Ca' d'Oro came about. 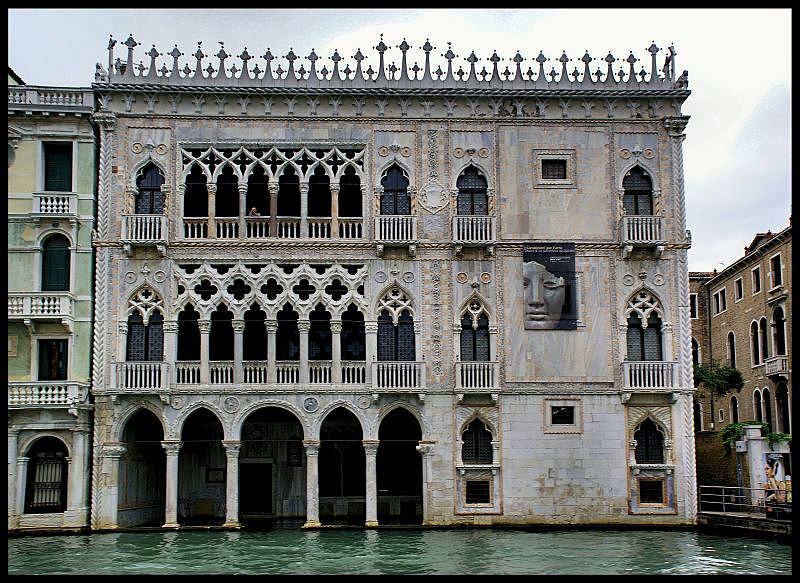 It's extremely delicate and ornate facade, facing the grand canal, both displayed the wealth of its original resident and owner, as well as served various purposes, from hospitality to commerce. Its name derives from the gilding that once covered the facade.